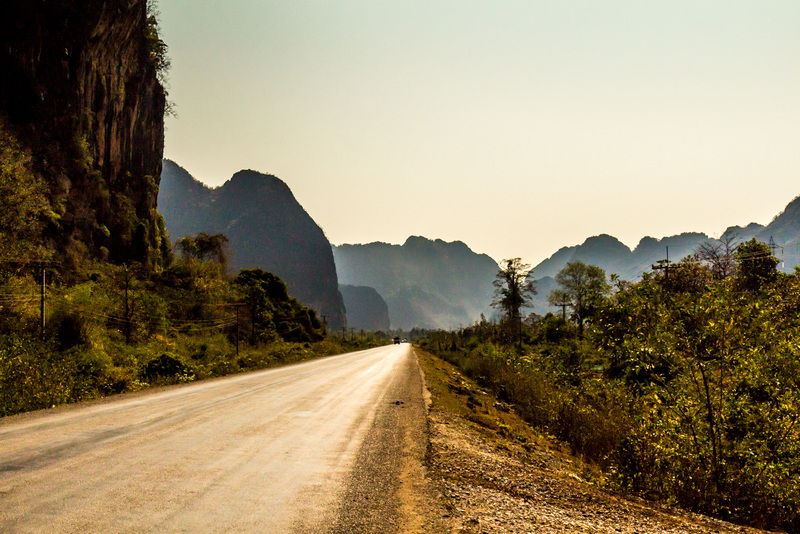 “The Loop” is one of the must-do attractions in Laos. 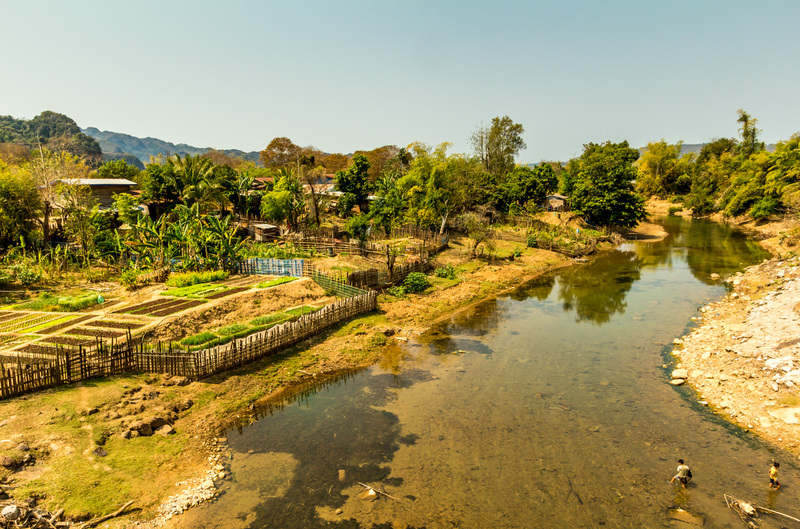 It’s easy to make your way from Vientiane to the little town of Tha Khek, where motorbike can be rented. From there, the first day of The Loop heads east towards Vietnam on a busy highway. The second day goes north, up onto a plateau, and away from civilization, ending near Konglor cave. The final day goes down off the plateau, and returns to Tha Khek. I had my own motorbike, so I set off on her east down Route 12. 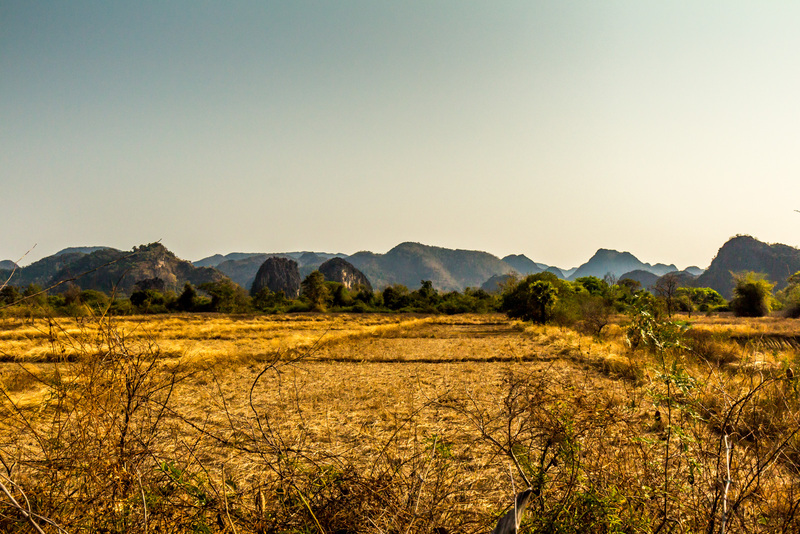 Once past the sprawl of Thakhek the scenery was nice. 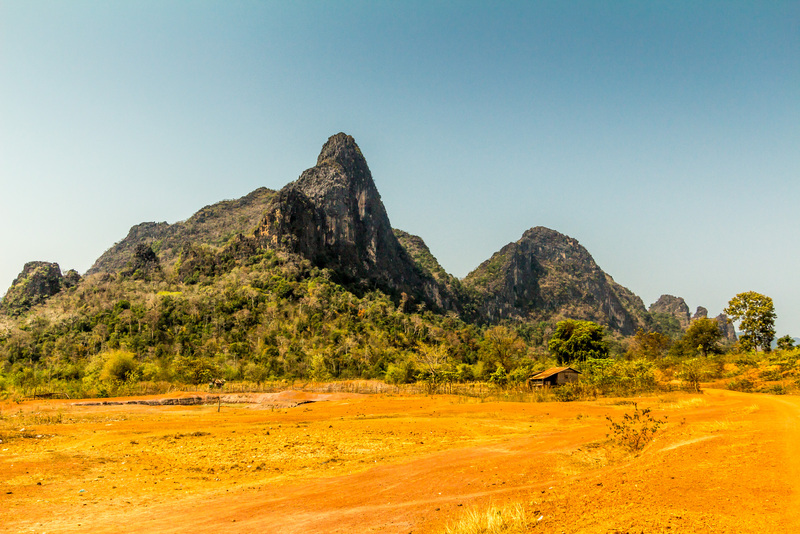 The flat plain became studded with limestone karst mountains all around me. It was scenic and beautiful. The cliffs of The Loop. But a couple things marred the experience. Route 12 was rather busy, with a fair number of trucks going to and from Vietnam. Because of all this Vietnamese traffic, there were quite a few signs in Vietnamese advertising car washes and restaurants. The other problem was the sheer number of power lines. Small power lines, big power lines, medium power lines. They were everywhere. It was impossible to photograph the beautiful karsts without getting power lines in the frame. The reason would become apparent later. I held off on most of my photography, hoping it would become less developed once I turned Nnrth off of the main road. The road twisted among the cliffs. I passed a few signs for caves. 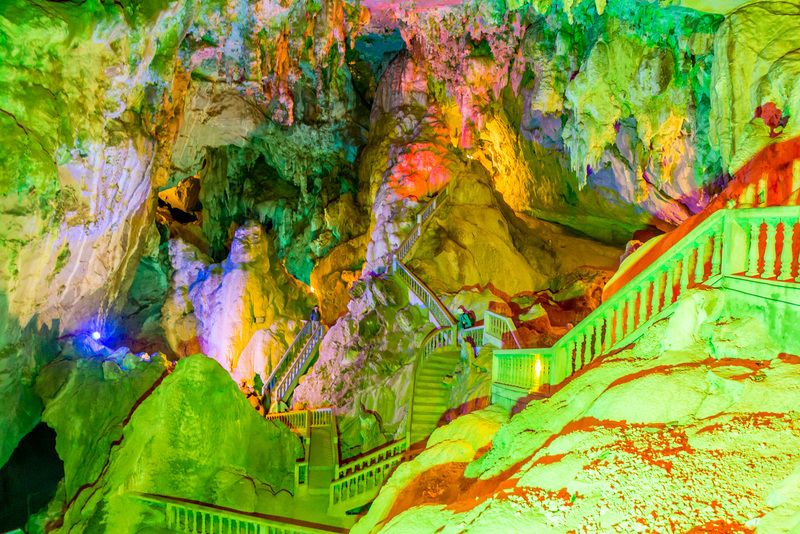 Many people make a full day out of visiting all the caves, but I wasn’t up for chasing them all down. I did go down one dirt road looking for one, but there were no signs after the first one and I couldn’t find it. Still, going down dirt roads is often fun, even if you can’t find your goal. 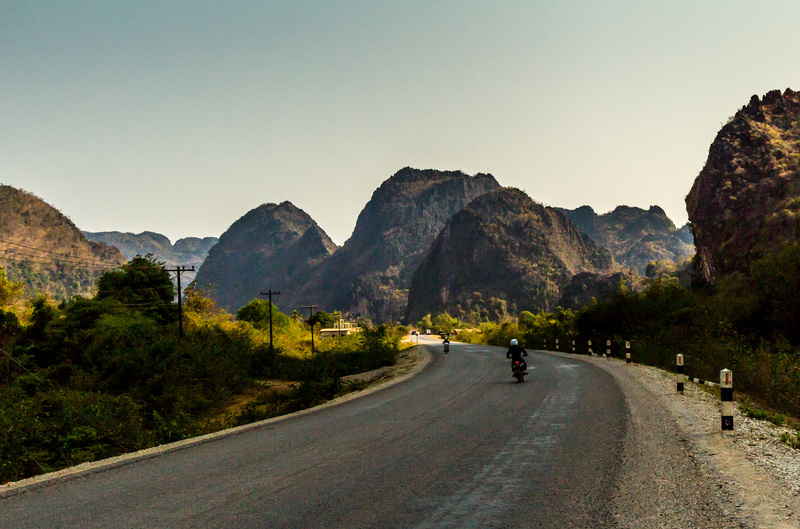 I rode to Tham Nang Aen cave, the most popular and touristy one. There were only a few Lao and one falang couple when I was there. It was nice inside, with colorful lighting. I think it was worth the $2.50 admission price. It would be fun to be in a group, because a boat can be hired to go further in the cave. But I was alone, and it wasn’t worth paying the full price. 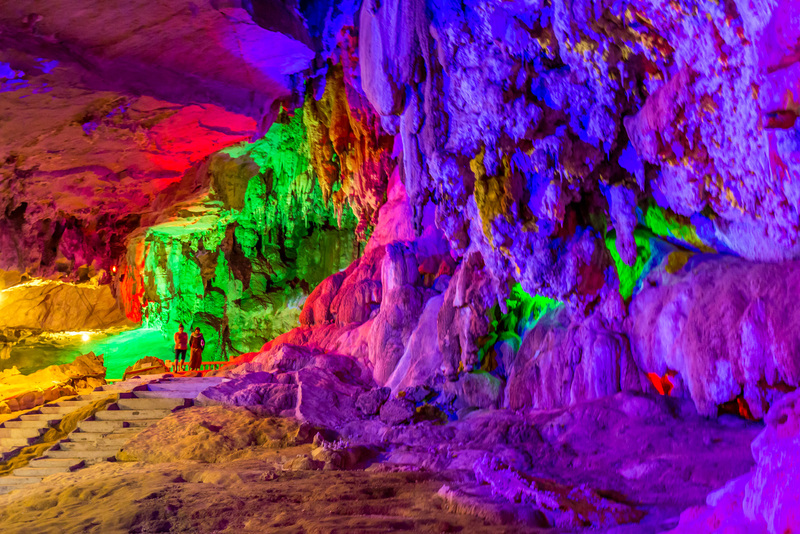 I will pay the full price for a boat for Konglor cave. I eventually came to the unnamed road going north. I was hoping it would be less developed, but I continued to pass through small towns. There was still power lines everywhere. As I rode on I found out why there are so many power lines. There is a new dam, only five years old. 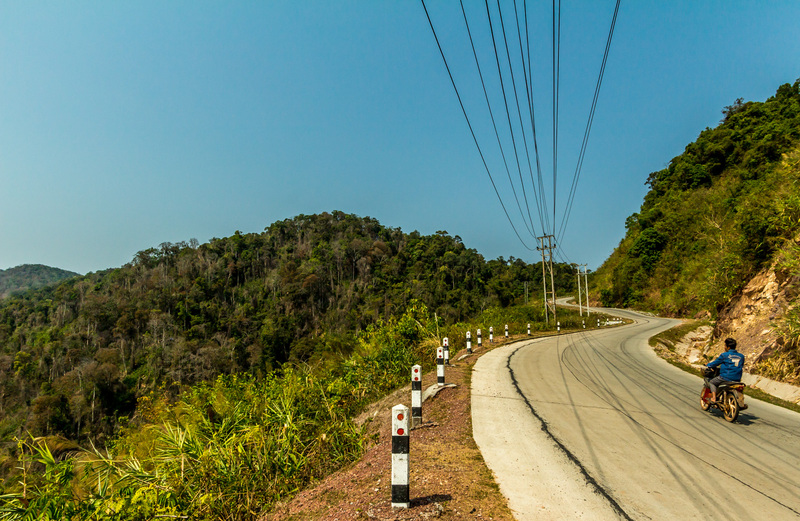 Laos is selling hydropower to Vietnam and Thailand, hence all the power lines. 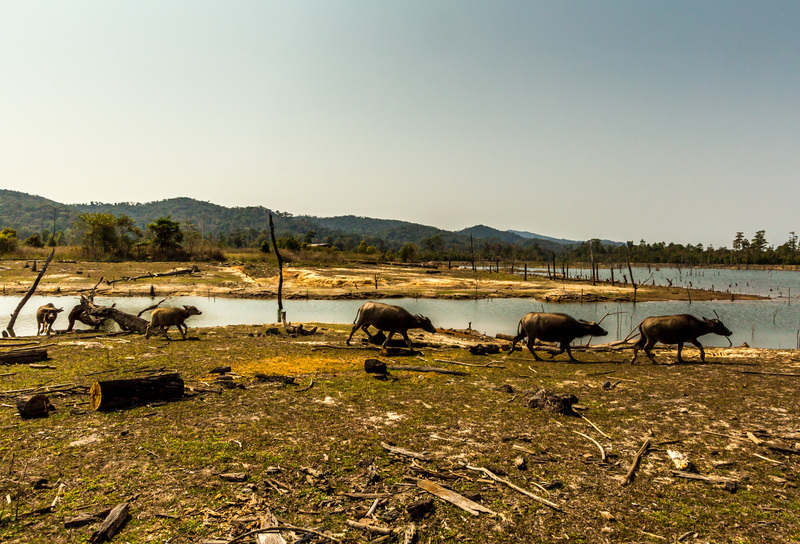 There are dozens of dams under construction and planned all along the Mekong and its tributaries. This is a big problem for Vietnam, which is experiencing its worst drought ever. The Mekong delta will actually disappear in a few decades if all the dams are built, cutting off the supply of silt the delta needs to replenish itself. Tham Nang Aen cave was worth a stop. The road began going up into mountains, and the scenery changed. 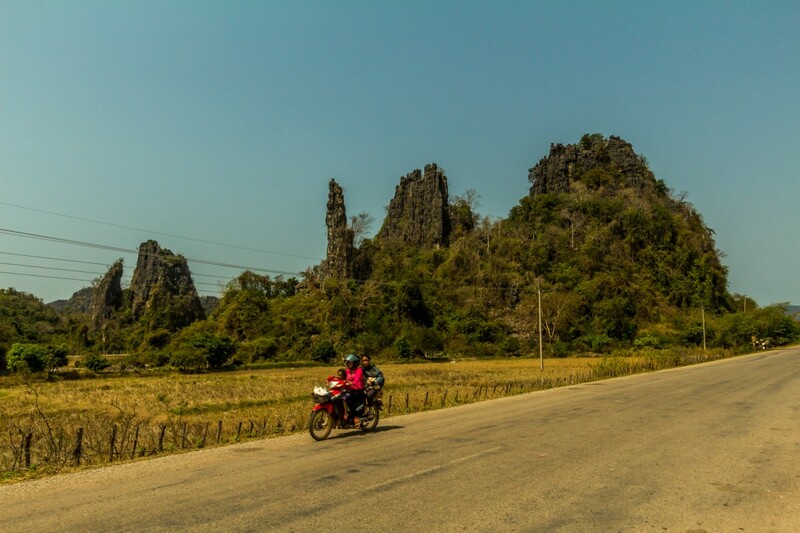 No more karst pinnacles. It became a little remote and hilly. 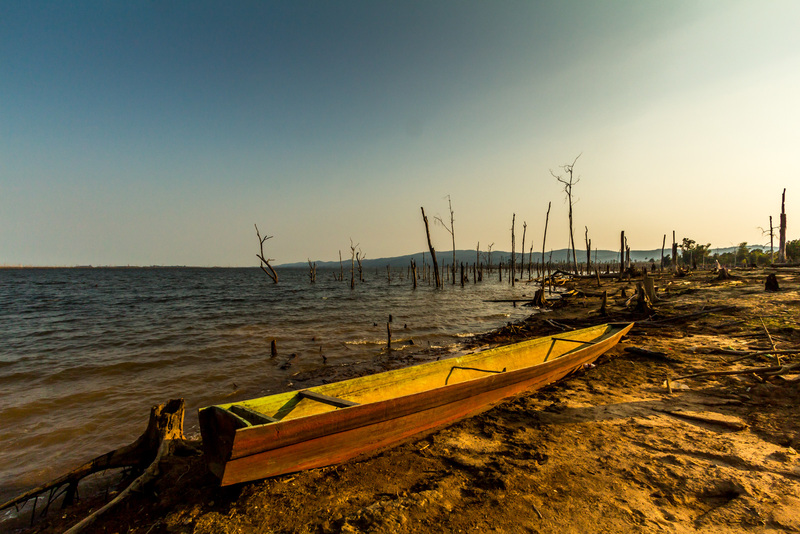 There were views over the new reservoir, with dead trees coming up out of the water. 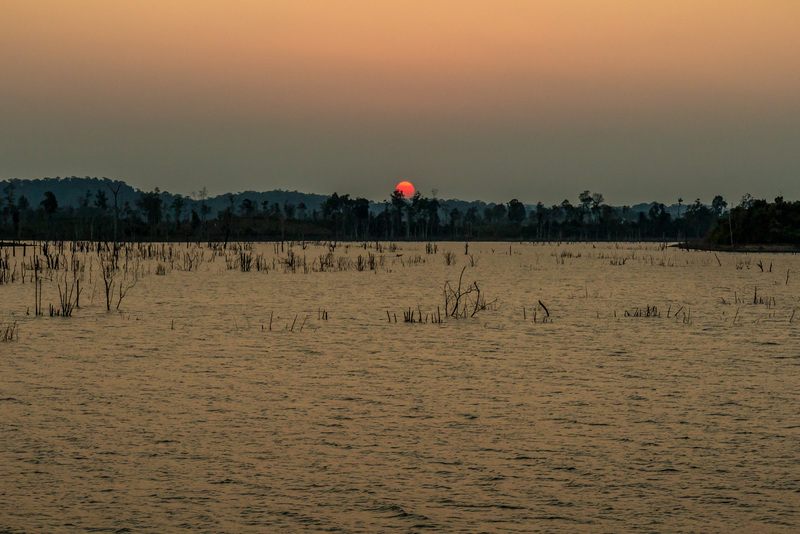 My destination was the tiny town of Thalang, on the banks of the reservoir. Google Maps still shows a confluence of rivers here. But those rivers no longer exist. There are only two places to stay, and I arbitrarily chose the Sabaidee Guesthouse. It has simple bunglaos, and surprisingly good food for such a remote place. There are many French staying here tonight. Climbing stairs in Tham Nang Aen cave. A house among the cliffs. The new dam created a wasteland of dead trees. A boat on the new reservoir.